As Amazon Australia takes orders in time for Christmas, this year’s Boxing Day on line sales, the US equivalent of Black Friday, could see an increase of 45% compared to 2016, says GlobalData, a leading data and analytics company. 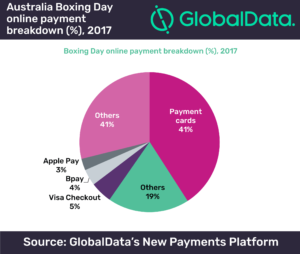 The company’s latest consumer payments survey reveals that Boxing Day online spending on Australia’s largest annual sales day could reach A$290m. 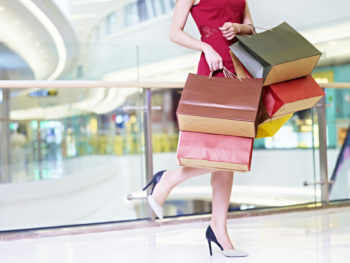 This would be three times more than average online sales on any other day of the year with payment cards remaining the preferred method of payment for Australian shoppers. Alternative payment methods have already gained wide acceptance on the back of rising consumer preference for more convenient methods of payment. Apple Pay is expected to capture a relatively small share. Three of the four major Australian banks – Commonwealth Bank, National Australia Bank, and Westpac –have announced a joint partnership to develop their own mobile wallet, Beem. In terms of devices used for online shopping, while desktops and laptops will remain the preferred channels, their share will continue to decline as more people are expected to shop using mobile devices. Note: Estimates in this press release are based on GlobalData’s proprietary consumer payment surveys and research. For more information please refer to https://www.globaldata.com/financialservices/research-areas/consumer-payments.